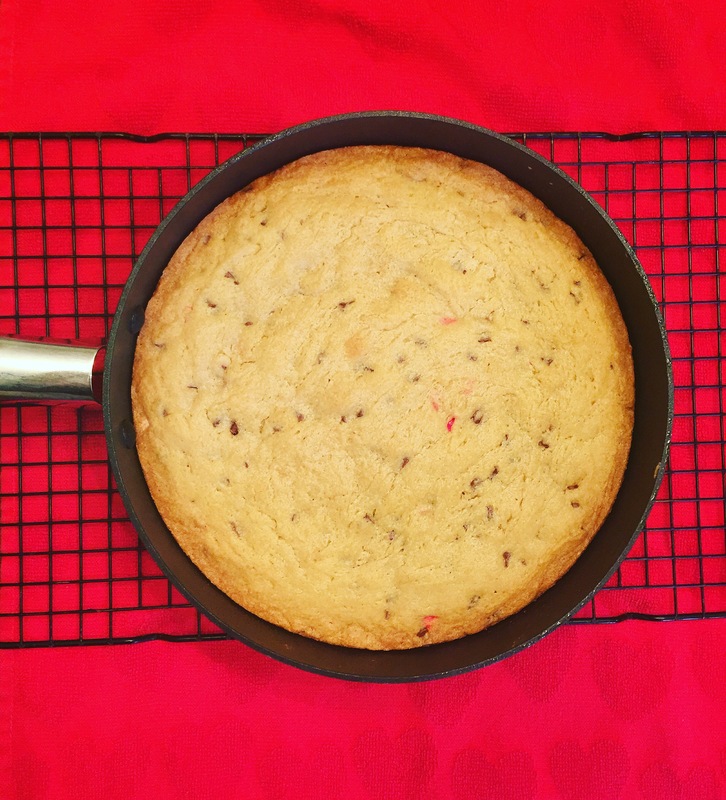 I don’t know why it’s taken me so long to make a skillet cookie! Seriously. I’ve always wanted make one because they look so awesome! And now I know they taste awesome and are super easy. 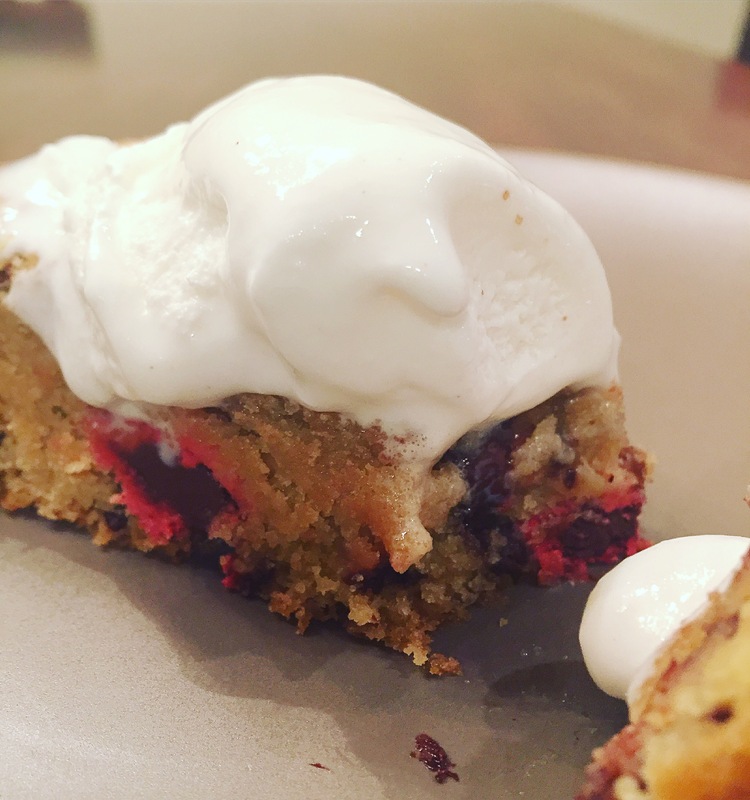 So, if you need/want to impress someone special this Valentine’s Day, make a skillet cookie and throw in some red M&M’s. Done. You’ll have yourself a lover for life. So… Let’s go make a skillet cookie! Preheat oven to 325 degrees fahrenheit. In a large bowl, whisk together the flour, baking soda, cornstarch and salt. Set aside. In the bowl of your electric mixer, beat the butter until smooth. Add in both sugars and beat until fluffy. Scrape down the sides of the bowl. Beat in vanilla and eggs on medium/high speed. Slowly add in the flour mixture until dough is formed. Stir in the chocolate chips and M&M’s. Spray the skillet with a non-stick spray. Pour in the cookie dough, even it out and smooth the top. Tip– I just sprayed my fingers with non-stick spray and smoothed out the dough. Bake for 30-35 minutes. Allow to cool for a few minutes on a wire rack before digging in! Enjoy!